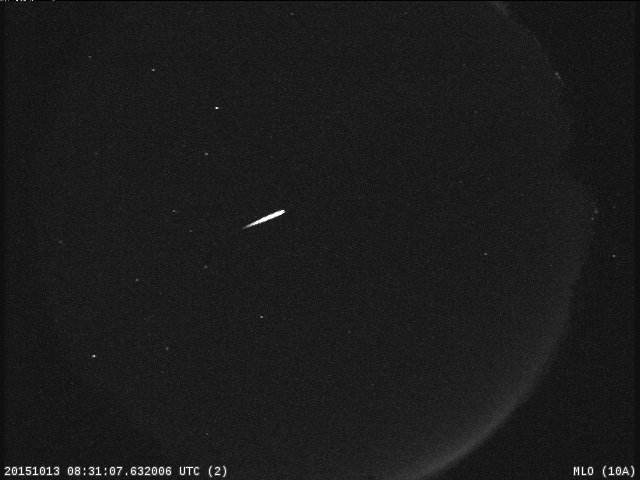 There was a very bright fireball over middle Tennessee last night, October 20, at 7:57:09 PM CDT. 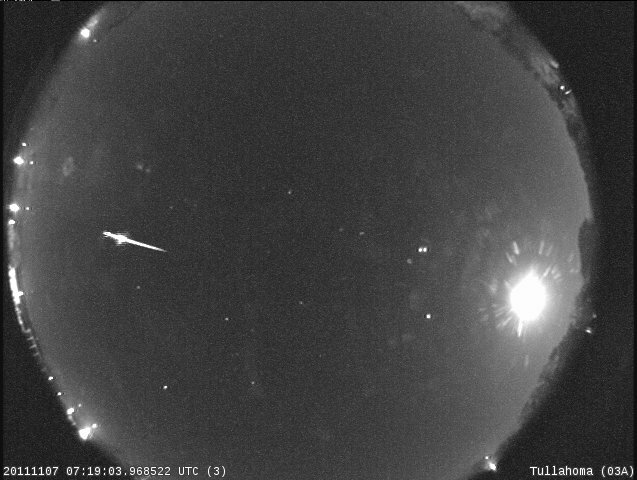 Four NASA all sky cameras, located in Tullahoma, Huntsville, Chickamauga, and North Georgia College, first detected the fireball at an altitude of 54 miles, moving slightly north of west at 47,000 miles per hour. 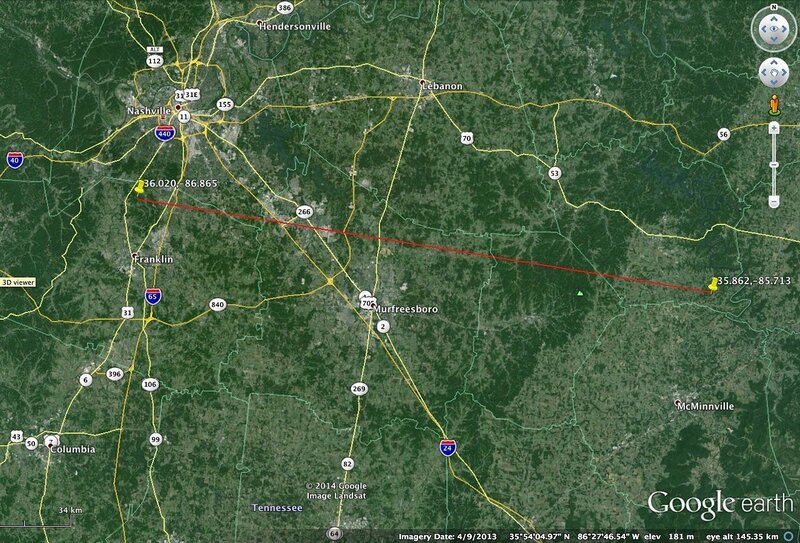 The meteor, estimated to weigh around 10 pounds, travelled some 64 miles through the atmosphere before fragmenting 24 miles above the town of Brentwood, south of Nashville. 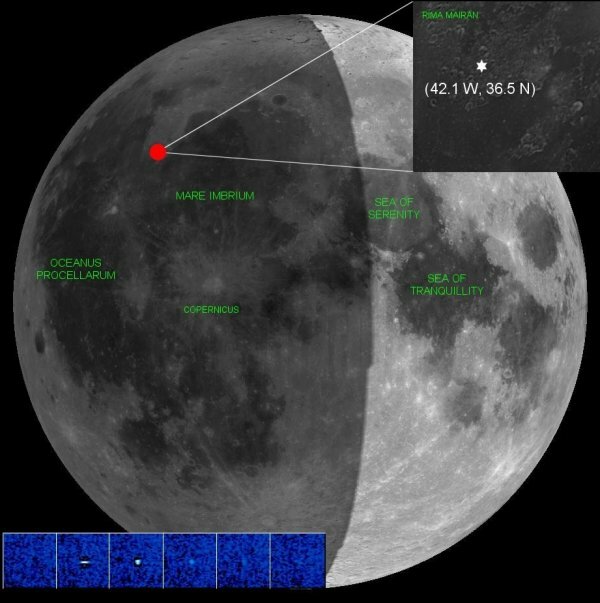 At its brightest, the fireball rivaled the first quarter Moon, gathering a fair amount of attention in the tri-state area. 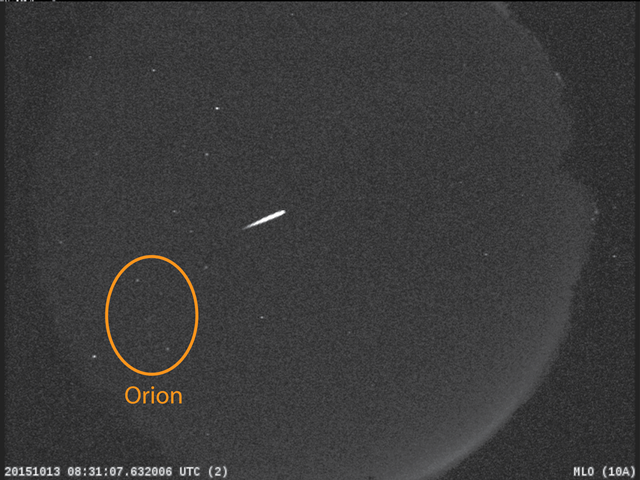 The fireball was NOT associated with the Orionid meteor shower, which is currently active. 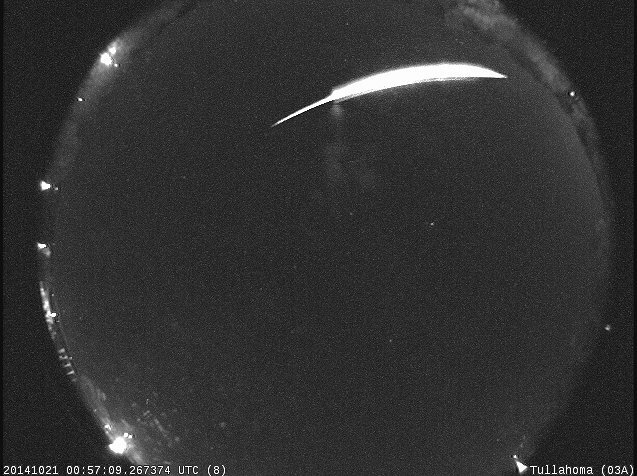 It was moving too slow and coming from the wrong direction.